Oh my goodness I feel like I’ve just fallen into the Christmas bin at the local department store. I’ve only managed one spray of L’Elephant before realizing how incredibly potent this fragrance is, seriously I can probably substitute my entire cabinet of seasonings with just this one bottle haha. 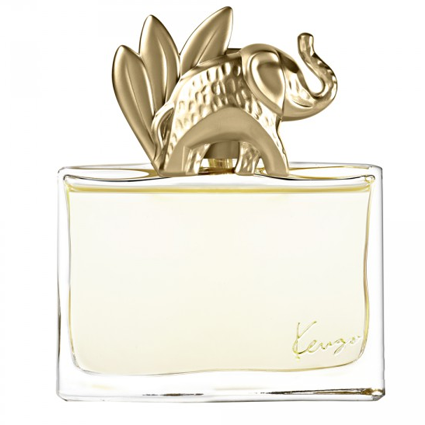 Kenzo’s Jungle feels like a holiday greeting card magically decanted into a perfume, if you were interested in the essence of Christmas then this fragrance has it in strides. The opening to L’Elephant is an olfactory overload of cloves, cardamom, cumin, and caraway. It’s super strong; I can imagine this being a total nightmare for anyone with a slightly sensitive nose so you might want to exercise a little caution when wearing this around strangers. The top notes overwhelm every other ingredient so that I couldn’t pick out much else besides spices; it wasn’t until the dry down could I manage to distinguish bits of mango, ylang-ylang, and heliotrope. The best part doesn’t arrive until about 2 hours later when everything mellows out into a creamy vanilla base with hints of licorice and cumin. It smells like eggnog to me, maybe even a masala chai tea. I would recommend anyone to try L’Elephant before buying; this is definitely not a safe impulse purchase. Yes it encapsulates the most joyous parts of the year, and for me it brings memories of Christmas comfort and lots of warm memories. Overall highly recommended, this is one of those perfumes that will bring the holidays to your doorstep.